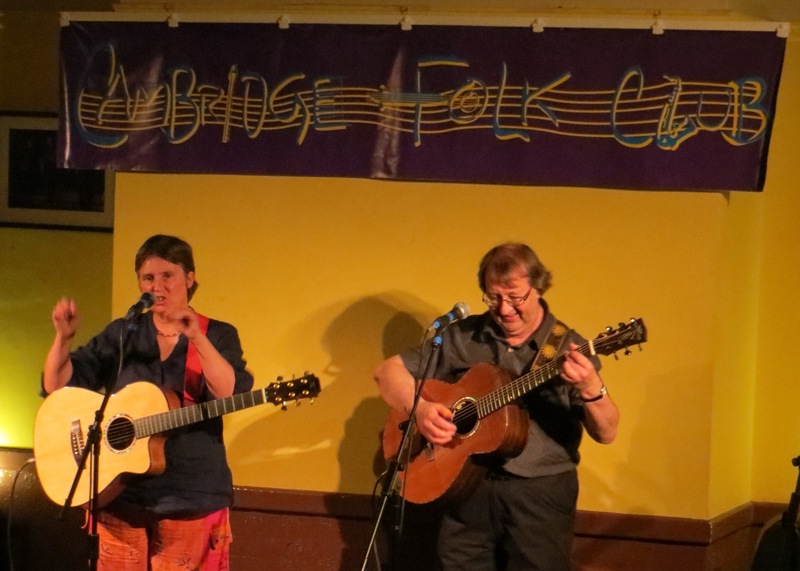 Well we had a great time at Cambridge Folk Club last Friday. Took the opportunity to play several new songs which seemed to be well received. It was good to catch up with some of the people we’d met on our first visit – lots of nice people there and we all had a good natter. Over to Stevington in Bedfordshire on Saturday for our concert supporting American Jazz guitarists Frank Vignola and Vinny Raniolo from New York. They’re touring at the moment and do take any opportunity you can to see them – great musicians and very entertaining. We got together during their second set and had an impromptu ‘jam’. 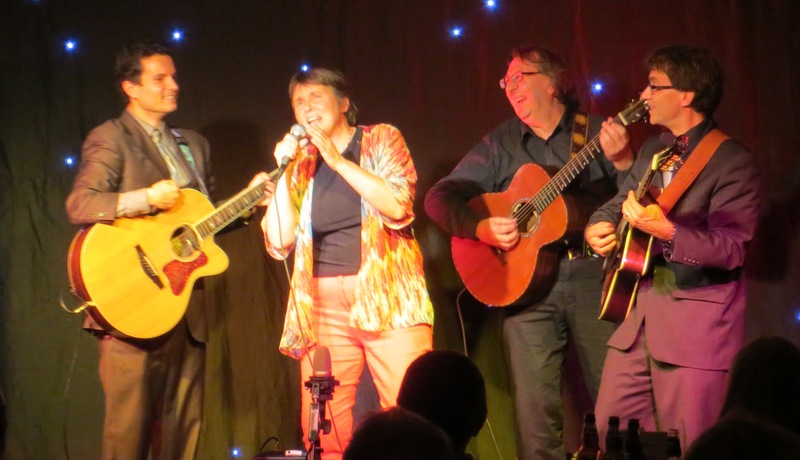 Lots of fun and its always a good gig at The Stevington Guitar Concert Series. Well done John Duffield for organising this annual charity event. Funds raised this year went to slide guitarist Johnny Dickinson who is suffering from a very serious condition. This entry was posted in Uncategorized and tagged Cambridge Folk Club, Frank Vignola, Stevington, Stevington Guitar Series, Vinny Raniolo by admin. Bookmark the permalink.